Reid Nicklaus, former CDMA Graphic Designer, has served the company for the last 10 years. As Reid departs CDMA to pursue a full-time teaching career, he is ready to continue his work in philanthropy and volunteering. 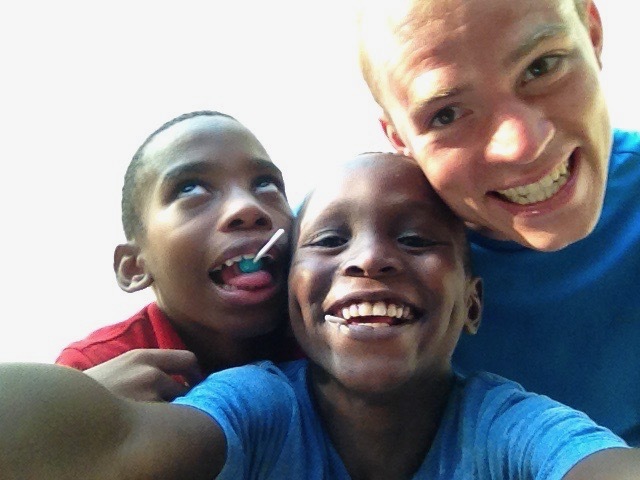 Earlier this summer Reid spent nine days volunteering at Greta Academy, an orphanage and school in Haiti. During his time there, Reid was inspired to start a fundraiser for the academy. Reid and his brother, Ron, decided to team up and participate in an 8-hour mud obstacle race near Chicago called Toughest Mudder later this month. They will use the race as an opportunity to raise donations for Greta Academy. Currently, 60 orphans live there, and 150 children from the community attend school at the academy. Without the Greta Academy, these children would be living in extreme poverty with little or no educational opportunities. School supplies and uniforms for the orphanage residents and the children from the surrounding community who attend the school. Recreational and sporting equipment for the children (soccer balls, nets, cleats, etc.). Supplies for the academy’s vocational training program where teens learn job skills (such as cooking, carpentry, masonry and cosmetology) that will help them find employment when they leave the orphanage. The CDMA team is proud of Reid and the work he is doing. We have made a donation to his Tough Mudder for Orphanage in Haiti fundraiser. If you wish to share or donate, please follow the link below.